To finish off this series I get to share with you our 2010 Christmas ornament. 2010 turned out to be a very difficult year for us as a family. Rather abruptly I found myself once again looking for a new job. I said goodbye to Northwood Student Ministry at the end of July only a few weeks after we finished our summer camp. It was incredibly hard emotionally and physically for our family and our friends. God of course provided in abundance for us and we are loving our new home in Rock Hill. This job change marked the first time we've actually moved inside the same state. 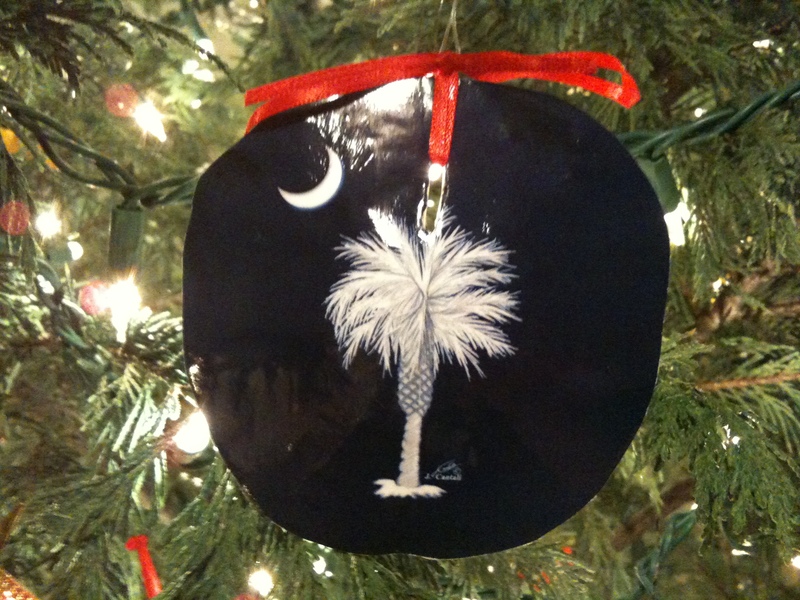 In celebration of this somewhat easier move we decided to use the South Carolina flag as our inspiration. Our wonderful friends Nick and Kirsten came and visited recently and helped us look for our ornament. Once they got back home they found one that they thought we might like. We did and here it is. Almost every parent, in America I suppose, thinks about the mother of all vacations….Disney. In 2009 we were able to go. Looking back I'm not exactly sure how we did it financially nor what we were thinking doing it when we did. You see, we decided it was a good idea to take a five year old, a three year old (celebrating her fourth birthday during the trip) and a six month pregnant woman and her husband to Disney World in Orlando, Florida over the fourth of July holiday week. It was amazing. I honestly never thought we'd get the chance to go since I'd only been once before that. The trip was everything our girls could have ever dreamed of and more. I'm hopeful to go back in another couple of years now that Mac is with us. Not to mention they're currently doing a huge addition to the Magic Kingdom. 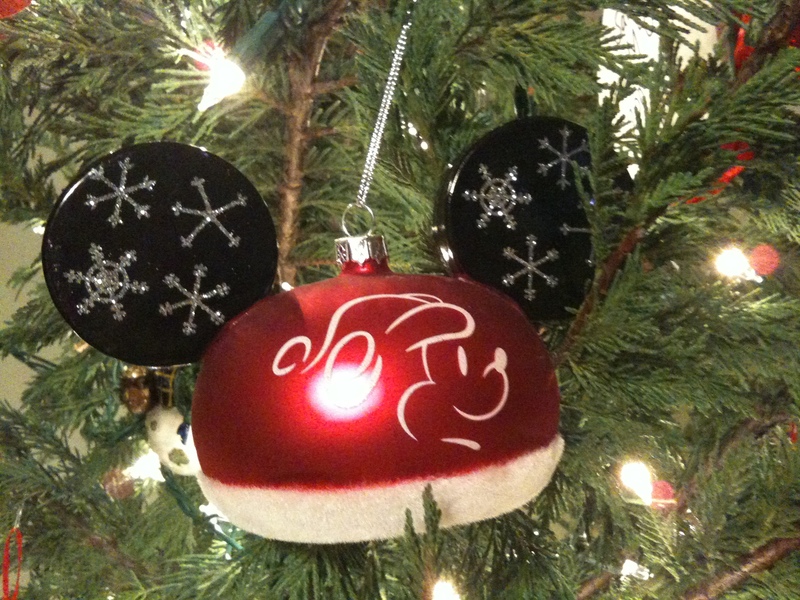 So 2009 was easily our Disney year and we searched high and low for the perfect ornament. I think we did pretty well.